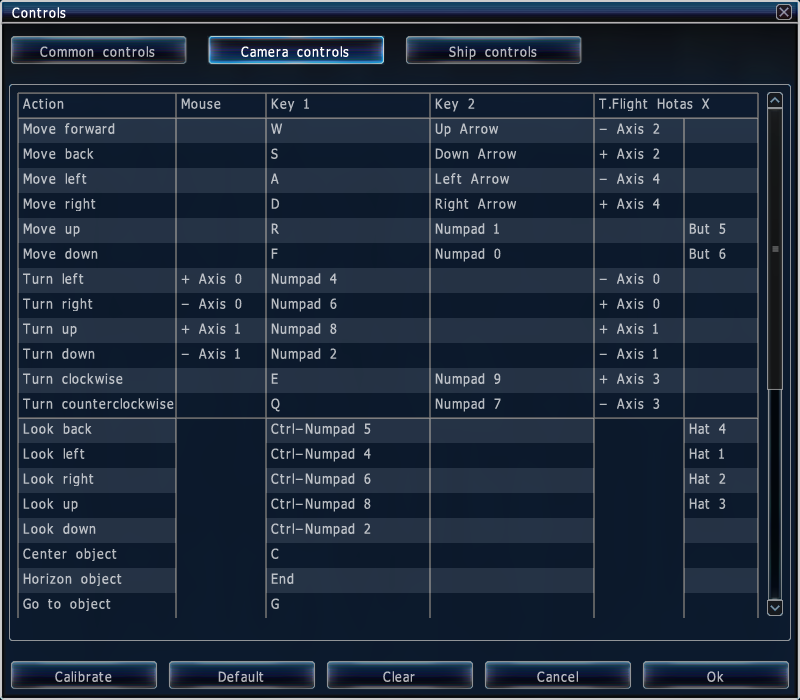 I have the saitek x52 pro flight stick, and space engine recognizes it in game, and it allows me to set binds for actions like engines and such, however when i switch to space/air craft mode and try to move the stick, nothing happens in game. Is there an option i have to to turn on? Did you make sure to set the binds in the camera control section? Also, please read the forum rules before posting. I was trying to use my PS4 Controller to use as Joystick in SE, but I am having problems setting the control to it. I am using the current Version 9.7.2 (beta), the PS4 Controller gets recognized by my computer and the testing itself worked just fine. The other thing is that I am using Windows 8 but to run SE in a Windows 7 compability mode. The former shown control center of camera-control in the post above does look different on my system. I'm german, but that shouldn't result in less options. EDIT: Well it is now visible. Twice restart of SE helped somehow.